As attention in the US has turned to job creation, greater focus has been placed on the need to promote capital formation. 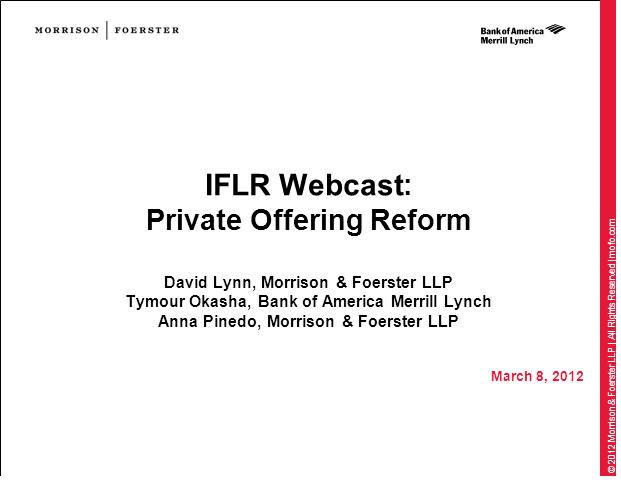 This IFLR webcast, in association with Morrison & Foerster will provide an overview of the regulatory burdens that impact capital raising in the country. •Staying private and the Section 12(g) threshold.